Mompreneur Mastery is a six month journey to creating a life you love: parenting without losing your cool, building a business that is successful and fulfilling, and learning how to balance it all to keep your sanity. Run by parenting coach, Ann Kaplan, and business coach, Samantha Siffring, this program will transform your life. If you have ever wanted to start or scale your business as a mom who is in the throes of having littles around the Mompreneur Mastery Coaching Program is for you! When I started I had a very fuzzy idea of where I was going in my parenting and business and just knew I needed it to be better. Ann and Samantha have helped me to see where my genius zone is and to take that knowledge to help others. They really focus on helping the people buying from you instead of selling just to sell as well as assist you in seeing who you are as a person and the value you are bringing to the world. You can do this, and this program can help you make the breakthrough to really make your dream happen. To say that the Mompreneur Mastery Program has been life-changing is an understatement. I had no idea the journey Samantha and Ann would take me on or the amount of growth that would happen during our time together. I barely recognize the woman that I was at the start of the program. The materials and time that both coaches put into the group is unreal–and the access they give to us is seriously bananas!! I basically have two coaches by my side every day at my fingertips. I also love the Facebook group and the group coaching calls because I’ve learned so much and have been inspired by each of my fellow group members. As they grow, I learn, and as I grow, I share with them. It’s beautiful. I am so grateful that this program literally fell into my lap and I am going to OWN 2019 with the clarity, strategy, and support of Samantha, Ann, and this program! Mompreneur Mastery is a 6 month group program. This round is full, and the next generation will begin late summer/early fall 2019. Samantha is a business consultant and coach for moms and the host of the Badass Mother Podcast. She started as a coach after struggling to find her identity after becoming a mother and now is very passionate about helping other moms build businesses from home and balance entrepreneurship with motherhood. She is a mom of 3, an over-volunteer-er, and a travel lover – she and her husband met while studying abroad in college and are always taking their kids on epic adventures. 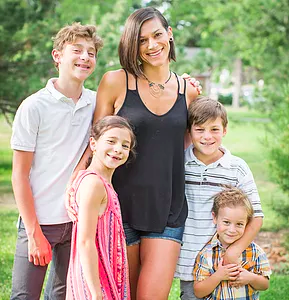 With 4 kids and a business as a birthworker and parent coach, whatever your mompreneur struggles are, you better believe Ann’s been there, big time! Luckily, after realizing she did NOT want life full of anger, out of control kids & complete pandemonium, she managed to pull herself out of the darkness, & came away with the lessons & tools she shares with moms like us every day. 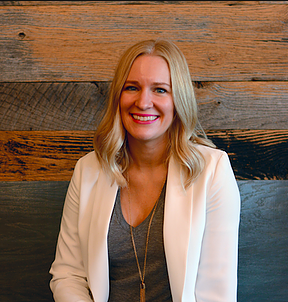 She has worked with mothers for over 9 years and supports families through pregnancy, birth and parenting struggles and loves helping moms find balance and fulfillment within and outside motherhood.